We drove the $44,000 RX Dual Cab (drive away NSW) and quite liked it. It drives like a truck, but then of course it is a truck. It fits no less than 20 moving boxes in the back, has room for 5 chaps, and feels like it will climb walls in a single leap. The range is dizzying. There are tray backs, pickups, king cabs, single cabs and dual cabs in a 2 and 4 wheel drive configuration. 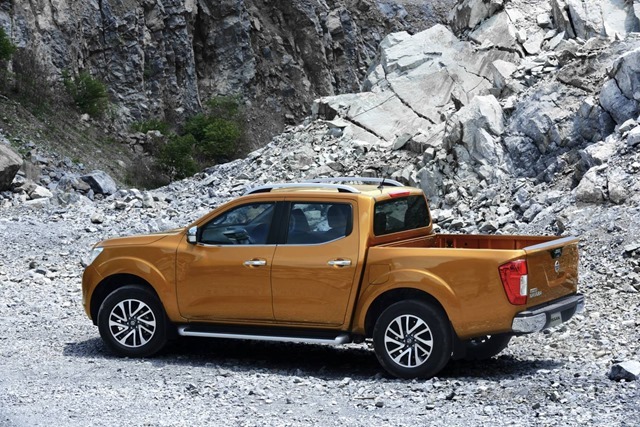 Add to that, a 122kw petrol, a single-turbo 120kw diesel and a 140kw twin turbo diesel, in 4 spec levels, and you’ve got a ute for all occasions. We dabbled in the muddy waters of entry level motoring for this story. Our booking showed the shiny range-topping ST-X, but we came over all soporific at the RX 4WD Dual Cab we were given instead. It had steel wheels, something I hadn’t seen since the Keating administration. It lingers somewhere-ish near the bottom of the range. Once I recovered, I realised that of course this is the car a real tradie would buy. This is the car that gets paint splodged over it, and has big steel tool boxes welded into its tray. This is the real deal. The small niggles I have mainly related to the absence of a rear camera and sensors. Equipped with a tow bar, the degree of difficulty for parking goes stratospheric. 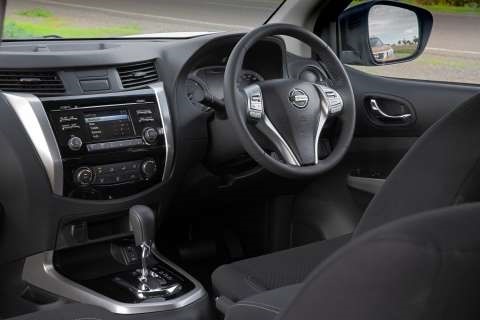 All of this goes away on the top model which has smart leather seats and a better infotainment system which includes the cameras and sensors. For a 44 grand car it wouldn’t have killed Nissan to bung in a beeper surely? Even with steel wheels the Navara looks good. It has the Tonka-toy look I like. It reminds me of my honorary nephew’s tiny-car collection. He has things that pull apart and make other things. It appeals to a 9yo in the same way a big butch pick-up appeals to a blokey-bloke. In a way, the Navara is very much like those toys, in so far as bits are added in different ways at the factory. The basic chassis is a ladder to which everything attaches. The wheels, engine and fuel tank are all mounted to ladder chassis. They do this with some commercial vehicles because there is an inherent toughness in a ladder. 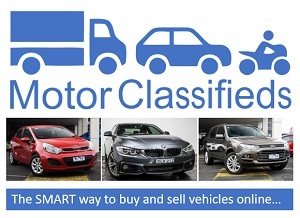 Most other passenger vehicles have a unibody which means the chassis and body are the same thing. Take the doors, bonnet and boot off and there you have you chassis, more or less. But I digress…. The cabin is quiet and fairly comfy. 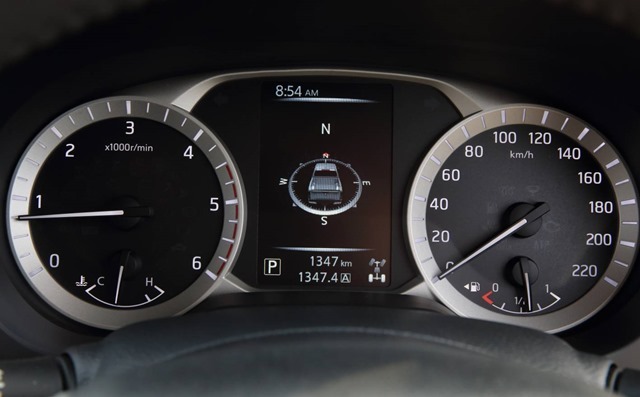 It is brilliant on the highway because with 7 speeds, the auto has the engine barely ticking over at 100kph. The upper models benefit from a twin turbo which smooths out some of the lag. Put your foot down at lights and she has a bit of a think before taking off like a scalded cat. As annoying as that can be, you learn to live with it. Even with a single turbo oil-burner under the bonnet, there feels to be plenty of “power”. I say “power” because what most people think of as “power” is actually the torque. 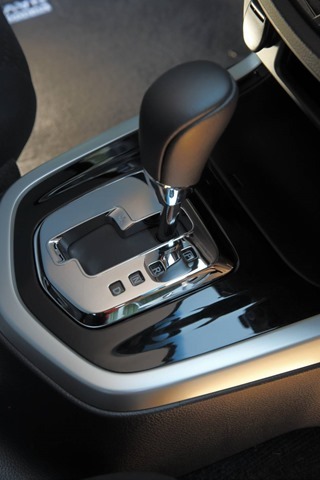 The ability of an engine to get a car off the mark is thanks to the amount of torque it has. It’s what helps 4WD cars to crawl over rocks at very low revs, and the 4WD Navara would certainly do that. We don’t do off-road testing as a rule and for good reason: unless you’re well versed in the vexing perils lying in wait, that’s all best left to the experts. The specs show an electric sliding window at the rear of the cabin too. This is handy for the budget minded who might invest in a canopy. 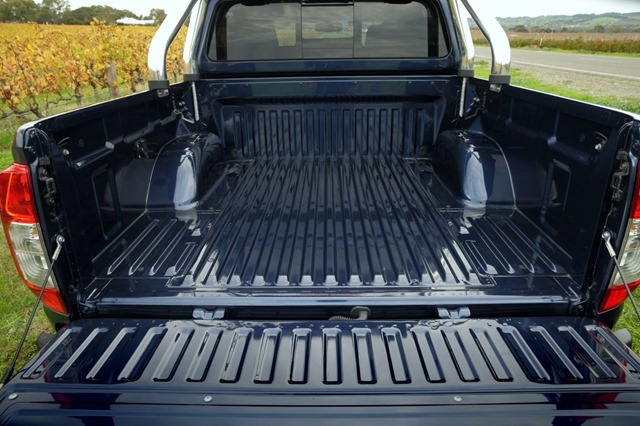 A canopy is usually fiberglass and has a lockable rear door turning the humble tradie’s ute into an uber-SUV. 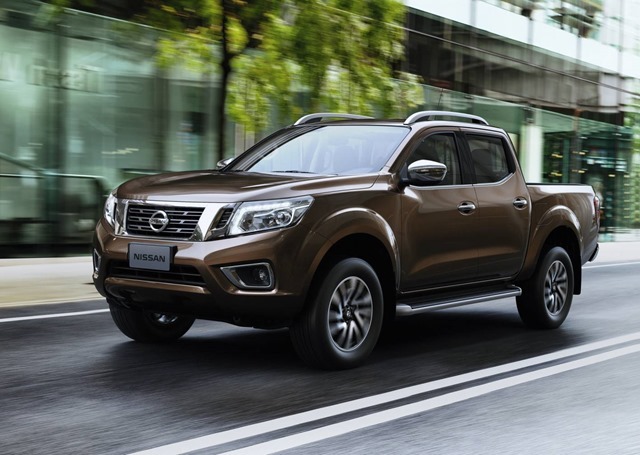 The Navara is a handful in close quarters, but once on the move is agile and feels svelter than her ample proportions would have you believe. In city traffic you have plenty poke for maneuvering, but you have to resist the urge to dart in and out of traffic. One thing Navara is not is a sports car. She needs consideration when changing lanes, and a very wide birth when parking. The towing capacity is dependent on the load in the tray and there is a formula for total load which is best kept to if you don’t want to finish up in the shrubbery. We tried several different ways of using the cargo space and apart from the moving boxes, there was a bike and some light shopping. The bike was secured with an Occy strap, which is also what we use to for a milk crate. The milk crate comes in handy for shopping that won’t fit in the cabin. You strap the milk crate to the car and put you Coles bags in that. Unless you have a tarp or other such cover, passers-by will be able to see what’s in it of course. Whether or not they take things is another matter. We’ve driven several Pick-ups in recent years, and the experience varies greatly between brands and trim levels. 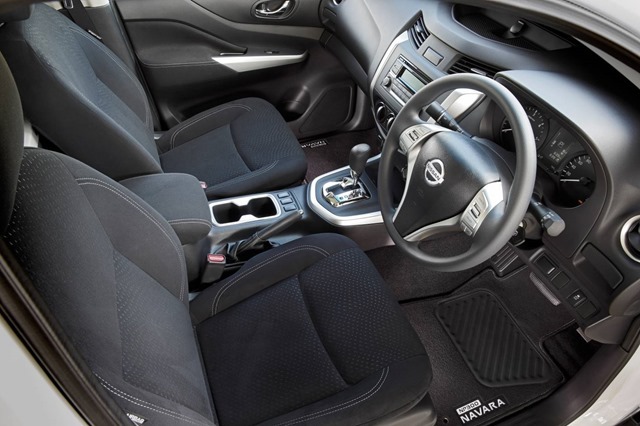 Some drive a little more like cars and have nicer cabins and accessories. Navara fits somewhere in-between. 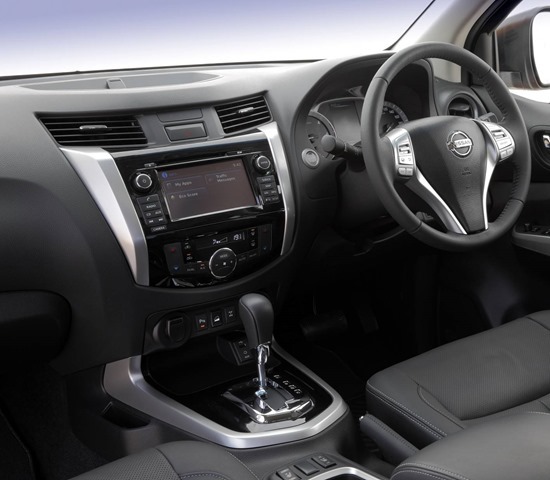 The drive isn’t quite as good as a Hilux for example, but the cabin is nicer than a Colorado. 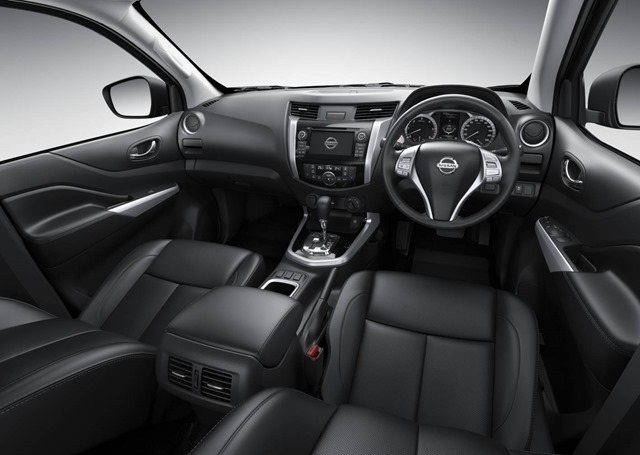 Mitsubishi’s Triton has nicer seats and of course, because Carplay is now found in Pajero, one assumes will be in Triton soon. Comparing pick-ups isn’t as easy as comparing hatches or sporty coupes. Tradies have a huge choice and for those wanting just a basic ute, perhaps a 2 wheel drive version for the mid-twenties is fine. After all, a ute is just for carrying tools to bang things in with, or, for carting heavy material about the place in safety. Some tradies want a dual purpose ride, for work and play. They may want 4WD for difficult work sites but they might want to do a spot of camping, and who doesn’t want to do a spot of camping? I’m not going to make a buy recommendation because I would never be in the market for a vehicle like this. From now on I shall leave it to those expert such things. Big butch SUVs and pickups are specific to a market. Those in that market can decide for themselves what features they want. All I ask is that I am allowed to be there to watch. Oh, did I say that out loud?